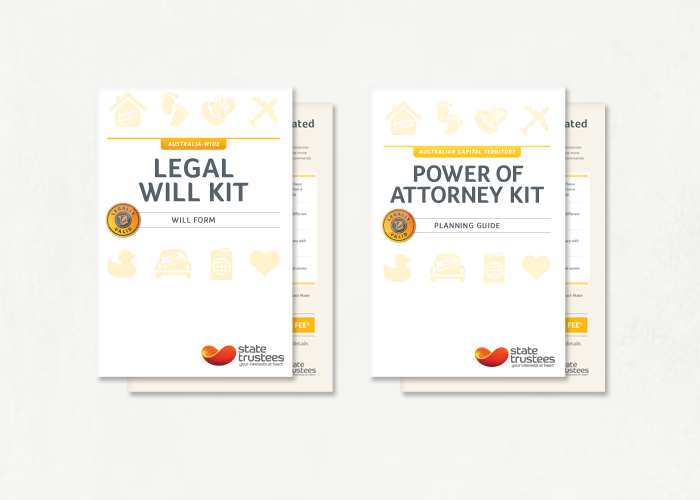 Developed by State Trustees, will writing experts for over 75 years, the Western Australian Legal Will Kit is a convenient, quick and easy way to complete your legal will for just $31.50. The instructions explain nine steps for how you should complete your will. Each step of the process is written in an easy to understand way to help you write your will. Legal Will Kits are valid for all jurisdictions in Australia. 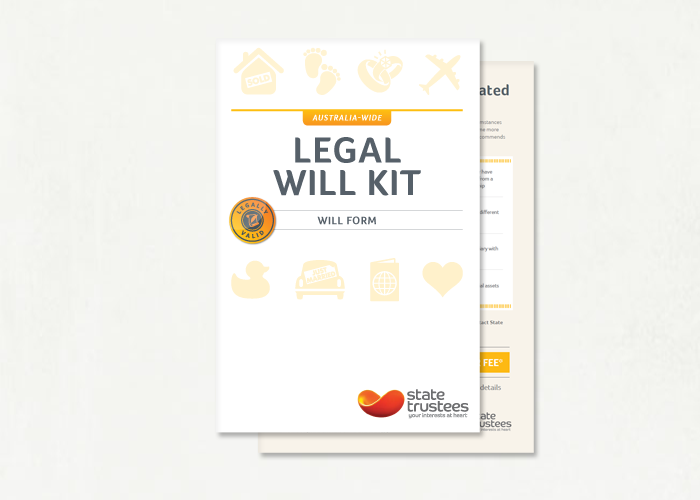 A Legal Will Kit is fast, simple and convenient and only $31.50. If you are over 18 years of age and have testamentary capacity (meaning you have the mental ability to know and understand what you are doing and why), you can make a will. You can also make a will if you’re under 18 years of age and are either married (or previously married), or have the consent of the court. What happens if don't make a will? if you don’t have a partner or children, to other family members, friends or charities. When should I use a will kit? When is a will Kit not suitable? When should I consider a consultative will? want to distribute your residuary estate to more than one person in different proportions. Is the will in this will Kit a valid will? Yes it is. Provided you have carefully followed the instructions in our will kit for completing your will, it will be valid. A Victorian State Government-owned business, State Trustees’ core services include will preparation, providing financial administration services for people with a disability, acting under an enduring power of attorney, acting as executor or administrator of estates, and the provision of general trustee and related services for the Victorian community. State Trustees have written over 100,000 wills.